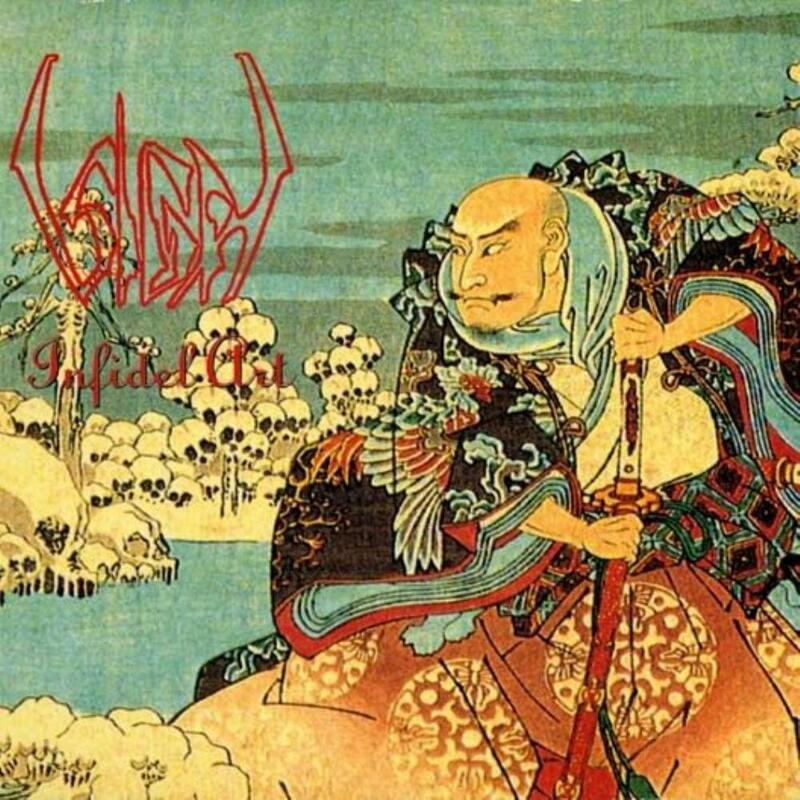 SIGH is one of the first black metal bands from Japan, but they were not content to be simply that unique - they quickly began to innovate with symphonic keyboards and atmospherics before eventually progressing their blend of metal to psychedelic new dementions, pun intended. 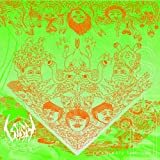 Sigh's humble goal of creating some of the most evocative horror music ever recorded could only be accomplished through progressive means, something they continue to do with each release. Originally, the band consisted of Mirai Kawashima(bass, keyboards, vocals), Satoshi Fujinami(guitars) and a little-known drummer named Kazuki who has ended his music career since leaving SIGH. After the first demo, "Desolation," a primitive tribute to earlier metal like Black Sabbath and Celtic Frost with some high ambition considering the quality of the four-track recording, Kazuki left the band and Mirai and Satoshi continued as a two-piece before hiring a full-time guitarist - Shinichi Ishikawa, so Satoshi could focus on drums. This is SIGH's current known lineup, although it is said to have recently hired a full-time bassist so that Mirai can concentrate on his virtuoso keyboard playing in the band, a strategy they adopted on their last tour. From their early demos (which feature a lot of material that has been re-recorded with more complex, rich arrangements than heard on their powerhouse black-metal originals), Sigh has continued to expand their ambition, drawing in the influences of numerous sources, from Ennio Morricone to John Zorn, all manner of jazz, classical and ambient innovation that they've successfully merged with their great blend of metal. It was clear from the band's first full-length that they had ideas for evocative, chilling sound compositions that included as many beautiful symphonic melodies as they did thrashing guitar riffs, and Mirai's evolving obsession with actual vintage synthesizers (not just their sound-alikes) has allowed the band to begin to write music as likely to give you an acid flashback as a nightmare. 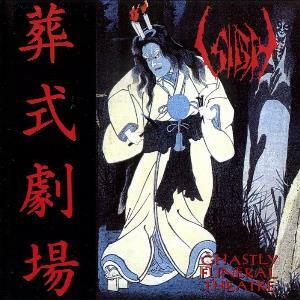 As far as progressive fans are concerned, the point at which SIGH becomes most interesting is with the release of the "Ghastly Funeral Theatre" EP, a short concept album based around Japanese occultism and incorporating a heavy amount of folk melodies and acoustic passages into the twenty minute running time. This would be a mere predecessor to "Hail Horror Hail," a true psychedelic masterpiece that is really the first place Mirai Kawashima proves himself as the Rick Wakeman of metal, knowing how to hold a groove, solo like a virtuoso and pull out the stops on a bombastic interlude. It is here that SIGH began to view music as sound films (a view no doubt helped by psychedelic drugs), and writing them as such - songs from this point in their career feature a lot of abrupt changes in tempo, instrumentation and even genre unexpectedly - but there's brilliance here because it all makes sense, and isn't amateurish under any circumstances. 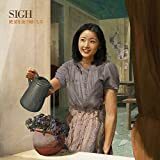 You'll notice that it is at this point in their career that Sigh started taking longer to record their albums, polishing them and tweaking them to perfection. Both "Hail Horror Hail" and the following "Scenario IV: Dread Dreams" are emotionally wrenching albums by a group of smart musicians that really knows what they like and how to accomplish it, but it is with "Imaginary Sonicscape" that Sigh comes into their own; the album begins with a Minimoog solo and ends on a chorus of sampled baby-laughter (Mirai's own son) over the Minute Waltz - between those points, the listener is treated to stomping percussion grooves with handclaps (truly 70's anthemic rock moments here), dub reggae, a strange downbeat noir piece and a ten-minute epic that allows the band to show off some fancy production techniques. The album is fun to listen to in any state of mind, as the band makes art out of such diverse sources and does so confidence, which makes the surprises so worthwhile and sincere. With a new album, "Gallows Gallery," due out by the end of 2005, the band continues to defy convention while exploring the horror theme in music. Mirai signed on to play keyboards for Necrophagia, a horror-themed death metal band with similar ambitions of inducing psychosis in the listeners, and wrote and performed a side-project with Killjoy, Necrophagia's vocalist, entitled ENOCH, that could be a collection of outtakes from Goblin, John Carpenter, Ennio Morricone, etc - truly scary, atmospheric stuff. There's a picture of Mirai Kawashima from their most recent album that shows him giggling and surrounded by a selection of keyed instruments double or triple the size of that legendary photograph in the gatefold of Rick Wakeman's Six Wives of Henry VIII - these albums, due in part to the equipment used, have a very retro feel in terms of the sound production and in some of the songwriting - there are ghosts of as many ambitious prog artists as there are early metal pioneers over their albums. The music is written to incorporate other genres wholeheartedly, from expected classical and prog-rock to jazz, funk, country/western, reggae, etc, and the albums are structured conceptually to allow certain themes, literally and in the general "feel" of the music, to recur like perfectly structured flashbacks. 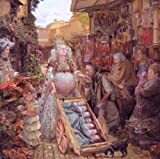 Their music may not be completely familiar as far as straightforward, traditional prog, but their aesthetic is fully progressive, and the leaps and bounds SIGH makes to convince the listener of such has to be heard to be believed. The first Sigh album to include the scintillating contributions of Dr. Mikannibal on saxophone and vocals, Scenes From Hell continues the band's explorations of symphonic avant-black metal frenzy. 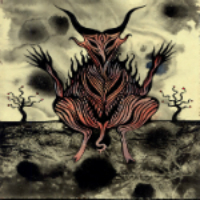 David Tibet of Current 93 is an unexpected but welcome guest this time around, offering spoken word recitations on The Red Funeral and Musica In Tempora Belli (roughly translating to "Music In Times of War"). It's all gruesome, rough fun, though I do wonder whether a more lively production job wouldn't have teased out all the ingredients of Sigh's bizarre stew a bit more evenly. 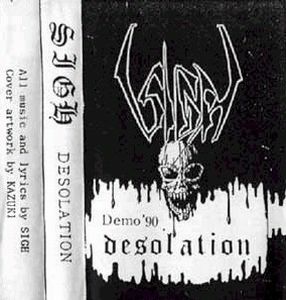 That said, the air of murkiness does harken back to Sigh's earliest releases, setting this in a continuity of musical development that began in the second wave of black metal and has fruited in this bizarre hybrid. 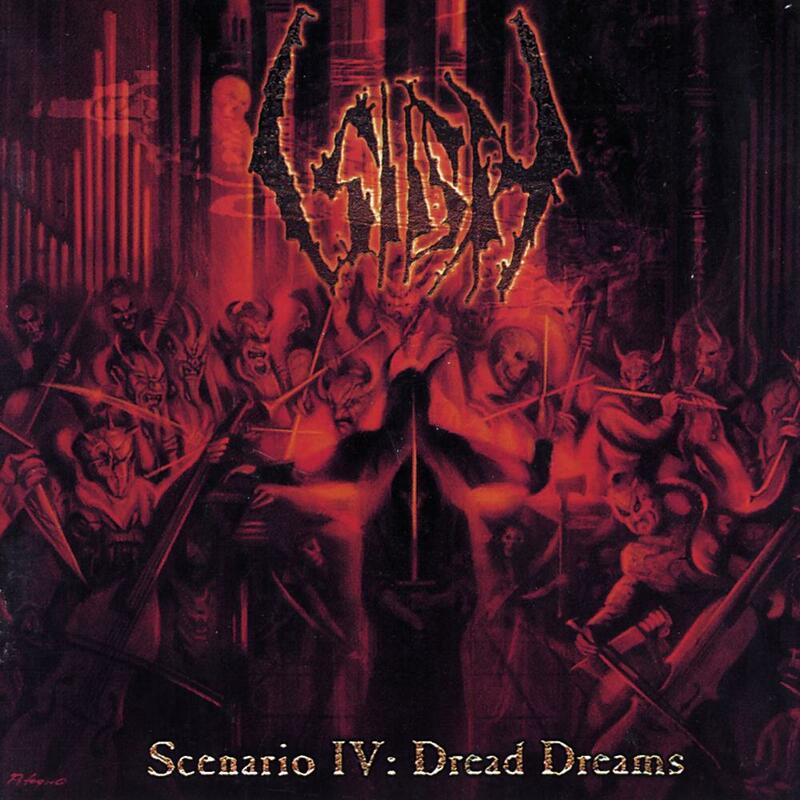 Scenario IV by Sigh might be better entitled "Hail Horror Hail II", since it's largely a continuation of the general approach of that album, with extensive shifts of musical style and approach mid-composition being a regular occurrence. 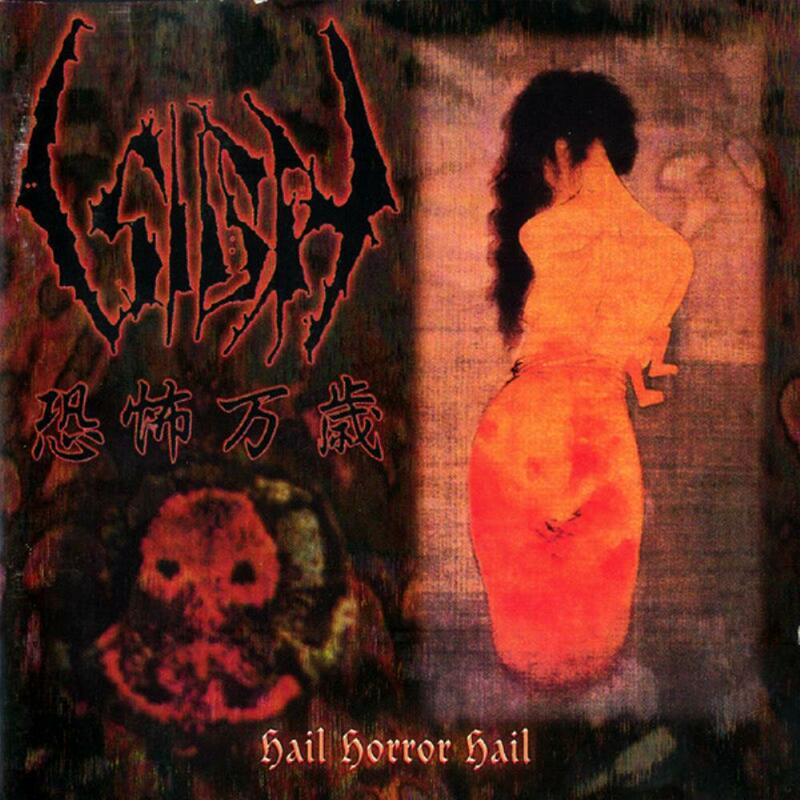 With a range of extreme metal styles and non-metal styles, as well as sections combining the two (there's bits which recall some of the more "black 'n' roll" segments of Hail Horror Hail, for instance), it's certainly as diverse an album as its predecessor, though the transitions here seem more abrupt and arbitrary than on that album. It's still a very solid release, mind - "not as good as Hail Horror Hail" still leaves room to be very, very good indeed. 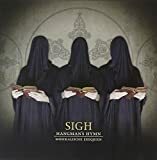 An early masterpiece from Sigh finds them shifting from the straight-ahead black metal of their early releases into what you might describe as symphonic black metal style - but only if the symphony in question were composed by Mr. Bungle or something. 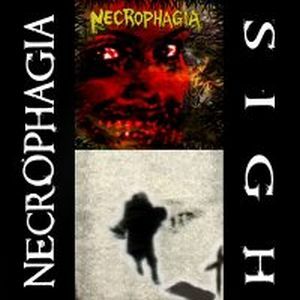 The opening title track almost resembles a hybrid power-thrash metal piece, with only the shrieked vocals keeping us anchored in black metal territory, and then the rest of the album takes us on a delirious tour de force, with moods ranging from the manic (like in the enigmatic 42 49) to the epic (like album centrepiece The Dead Sing, which conjures a landscape where "even the dead CRY FOR HELP!"). If you want find the spot where Sigh definitively stepped away from the second wave Norwegian black metal forces they'd been allied with in their early years and became their own unique channel of chaos and nightmare into the world, then Hail Horror Hail is where it all happens. Give it several listens, because you won't unpack everything in this movie for your ears right away. While the previous release defined SIGH as a musical omnibus of avant-garde black metal rather than just a (progressive) black metal band, this one pretty much scrubbed "black" from their sonority... and "avant-garde" too. 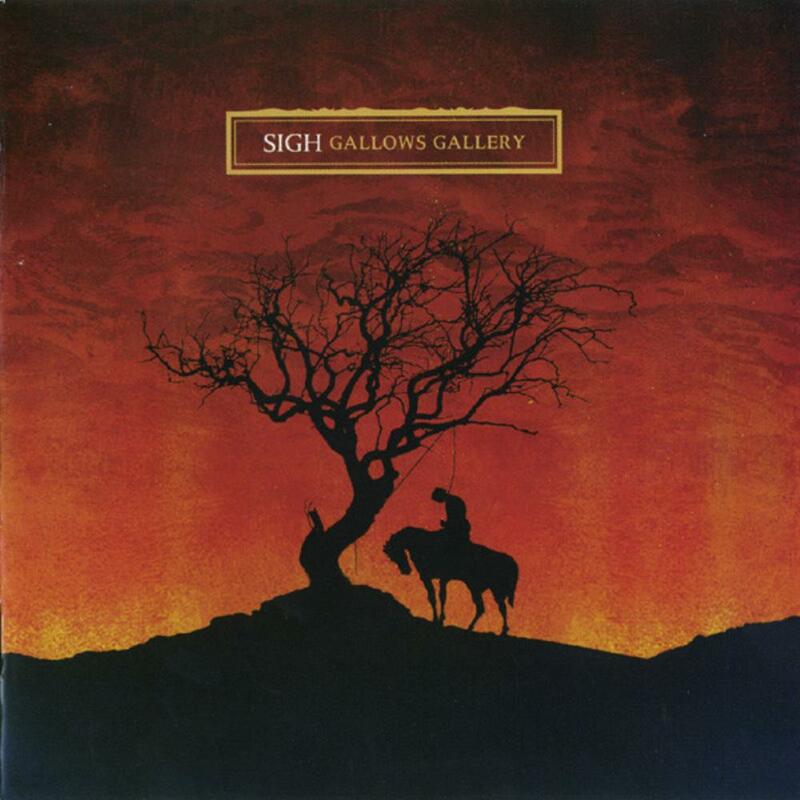 GALLOWS GALLERY comes right after SIGH's untouchable magnum opus IMAGINARY SONISCAPE, and apparently, those guys were on a creative shortage, even after four years of rest. 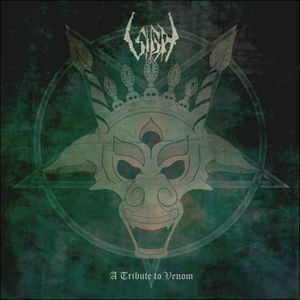 It's pretty much a power metal, but on SIGH's way - more complex and less neoclassical than the genre stereotypically suggest - without any traces of blackness nor experimentality. Good ole' power. Now, this wouldn't be a problem if not that all tracks sound virtually the same. I found interesting how the ending of each song featured the riff of the next one as some sort of bridge, but there's really LITTLE difference between the tracks. They're all on the same tempo, with similar melodies, similar riffs, similar feels. I have never listened to an album that sounds so much like blatant copy-paste before. That doesn't take away the enjoyability - which is guaranteed because it's so fun, I myself listened to it several times - but it does disappoint many that views SIGH as a visionary powerhouse. At one hand, they refused to accept sameness, once again opting to shift their style, like a chameleon does. But that isn't enough to excuse them from the lack of creativity and variation. "Some people say that our late stuff sounds happy, but I have never ever had the intention to express happy feelings in any way. My motivation as a musician is always negative things. I can't write any happy songs, probably because I am a negative person to the bone..."
In the 80's, the guitarist of black metal pioneers MAYHEM created Deathlike Sentence Records, a label whose intention was to bring limelight to obscure talents of black metal throughout the world. 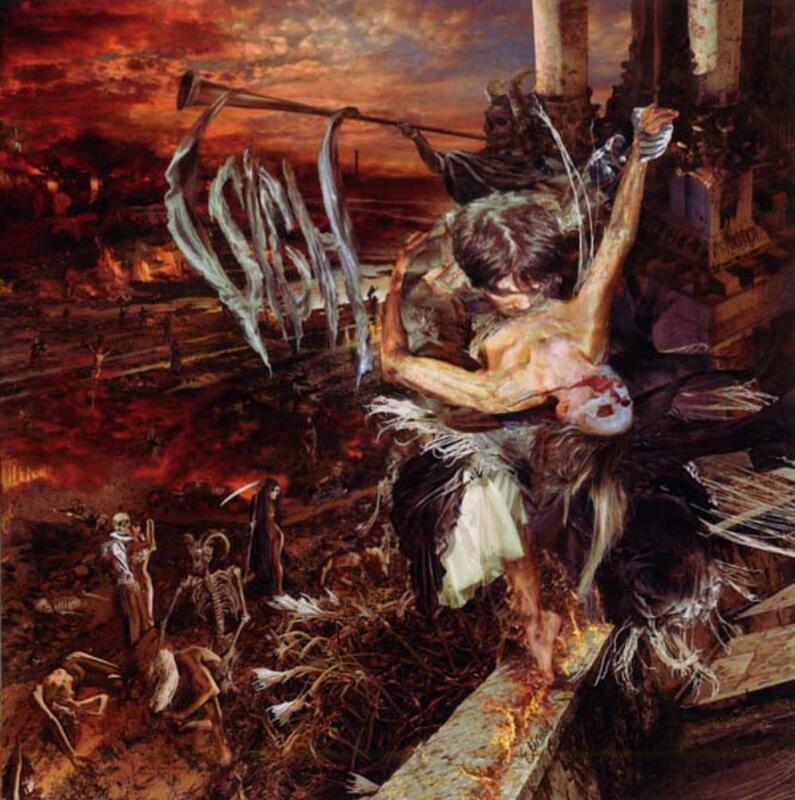 SIGH was one of the few gifted by this ephemerous sparkle in the dark (no pun intended), releasing their debut SCORN DEFEAT (1993) and audaciously claiming the title of forerunners of the extreme metal scene in Japan. 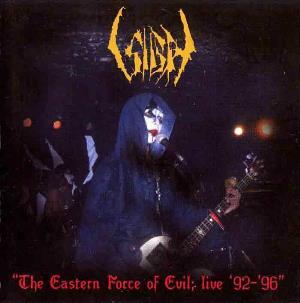 Under Mirai Kawashima wicked but highly genial's leadership that had no affection to sameness, it took very little time before they shifted their sonority from "classic" black metal to more... eccentric branches. More knowledgeable listeners of SIGH claims this transition is first noticeable in HAIL HORROR HAIL (1997). Fast-forward four years and they release their boldest and most experimental album: IMAGINARY SONICSCAPE. It's, if anything, subversive for the concept of black metal. 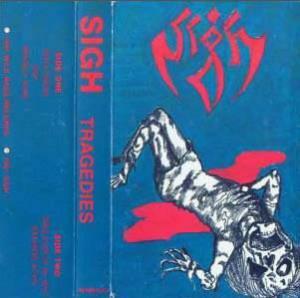 The genre implies hopelessness, anger, terror, darkness, whereas SIGH brings us highly upbeat, energetic songs. It's pretty clear that Kawashima doesn't care even the slightest about conventions because this is one of the most un-labellable albums I've ever heard. To simplify things, we can say that IMAGINARY SONICSCAPE is a surprisingly excellent mixture between what seemed to be water and oil: cheerful rock riffs and electronic effects with the torn and suffocating black metal vocals. Each song has its own core - from 80's glam black metal to (black?) jazz noir- which is entirely unique to itself. SIGH is definitely eclectic when it comes to influences, and prodigal when the subject is the usage of synthesizers & electronic devices. They also demonstrated that pretty much any genre can sound great with that sweet, sweet absolutely disgraceful and suffered guttural vocals. And the best part: they don't sacrifice enjoyability for the sake of innovativeness, so you don't have to worry about mixtures being so bold they sound bad because every song has only characteristics that make them appealing and pleasant to listen to, no matter what is the Frankenstein built. I like to think that SIGH performed countless experiments, but nitpicked few of them that sounded masterful and compiled them under that psychedelic cover. The supreme, undoubtful, unmatchable highlight is the legendary Slaughtergarden Suite. 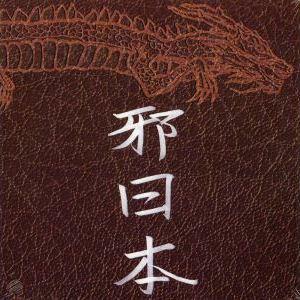 The first scene is an abrasive, dark and twisted industrial metal atmosphere, featuring a dark guitar solo by Shinichi. As you least expect, though, the song quickly switches into a jazz fusion deliciousness. As the guitar gently sweeps some funky riffs, the vocals groan delicate and bouyant lyrics: "Die at my slaughtergarden, say goodbye to your filthy life / Die at my slaughtergarden, vengeance to the world full of lives". Mirai then grabs his Fender Rhodes and Minimoog and plays a solo which in my opinion is one of the best keyboard solos in the avant-garde genre. You can't topple that psychedelic grooviness. One weird thing is that many tracks abruptly ends into classical music/lullaby-sounding pieces. Mirai is a mad genius and he must have had a reason to do that... which I don't know what is. I could babble forever why this album is superb, but I'll make myself short. It's a. an excellent introduction to extreme metal for people who hate extreme metal (the mellow riffs sweetens the bitter harsh vocals) b. is an excellent demonstration of experimentality without abandoning musicality and c. it's just so fun to listen to. The only type of person I wouldn't recommend this music to is to pop listeners because that creativity galore would freak them out, but then again, they wouldn't possibly be accessing ProgArchives, so I don't have to worry about it. If you're not a pop listener, though... there's no way you won't like this. Now sufficiently experimental that their black metal roots are, whilst still visible in the rear view mirror, not quite the focus of their work any more, Sigh further explored the progressive reaches of their sound on this album, sowing the seeds of strong later works. For instance, Bruce Lamont's guest spot on saxophone would carve out a niche in the band's sound that would later be filled, to the great benefit of their sound, by Dr. Mikannibal. Whilst other bands from the Deathlike Silence stable of second-wave black metallers would take an avant-metal path, perhaps none have done so more successfully than Sigh, with this psychedelic horrorshow another decent contribution to their discography. "Fire is so cold though my blood is boiling in my veins. Vice on virtue, victory on vanity. Answer me now, I will laugh in pain." 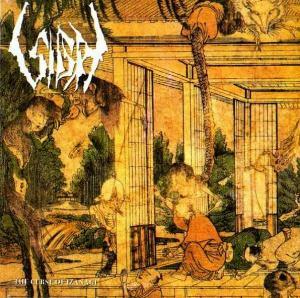 Few bands can claim to be as eclectic as the Japanese extreme metal band Sigh. While the band's main sound is based in black metal, the band has made use of a wide variety of influences which includes but is not limited to: classical music, thrash metal, power metal, jazz, and doom metal. Sigh may be presenting Scenes From Hell, but who knew hell would be an orchestral assault of thrashing black metal riffing. No other song on the album beats the rampage of the opening "Prelude to the Oracle", which never lets up with its rapid thrashing and chaotic orchestrations. After opening with spoken word, "The Red Funeral" blends brooding doom metal and melodic black metal with more strings and orchestra. The latter is pretty much prevalent in the whole album, making the album play out like some sort of demented symphony or movie score, ending with the raging title track as a grand finale. The production couldn't be any more perfect for the sound of this album, as it has a real dirty and filthy sound that gives a nice contrast between the grimy riffing and also prevalent melody throughout the album. "Prelude to the Oracle" and the title track in particular show this contrast quite well. The murky basslines and stabbing thrashing in the latter are particular great. 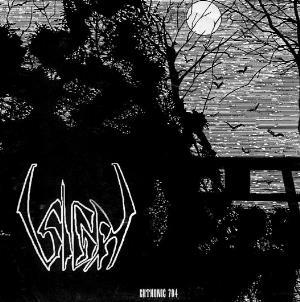 If you're looking for some eclectic black metal that lies on the more melodic and thrashing side of the spectrum, you can't do much better than Sigh. The band has many great albums, but to me Scenes From Hell is one of their finest records and most focused. There's many reasons why the murder of Euronymous by Varg Vikernes was a tragedy, but one of them is that it gave Varg a big old platform of infamy from which to promote his crank racist views, whilst at the same time it put an end to Euronymous' activities through Deathlike Productions growing the black metal genre. 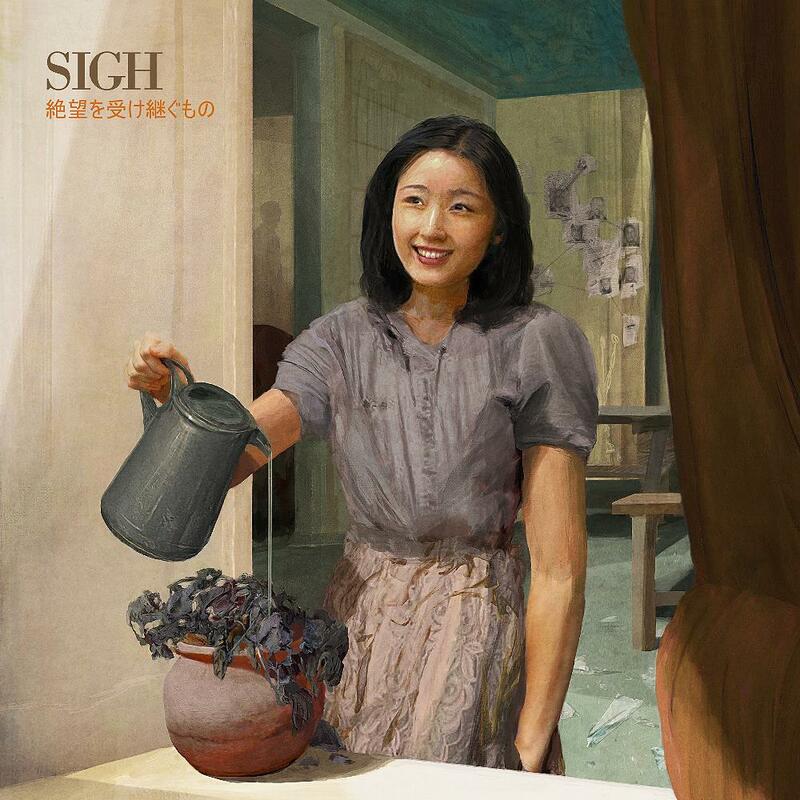 One illustration of this is Scorn Defeat, the debut album by Sigh. It's easy to forget in these days of the Internet, where you don't need to go that far to get a diverse picture of the worldwide metal scene, that it was much harder even in the early 1990s for an act to get much of a following outside its home turf. That's why it was so great of Euronymous to reach out and give this Japanese act a European release, flying in the face of the national rivalries that had characterised some facets of the black metal scene at the time (not to mention the toxic fascist elements that had been creeping in here and there) and recognising that good music knows no national or cultural borders. For their part, Sigh capture the early 1990s black metal sound perfectly but also bring in the occasional melodic, near-symphonic moments (with some passages resembling something out of a classic JRPG soundtrack). Even with these sections, this is about as traditionally kvlt as Sigh ever got, but it's a good fit for the classic Deathlike Silence period. 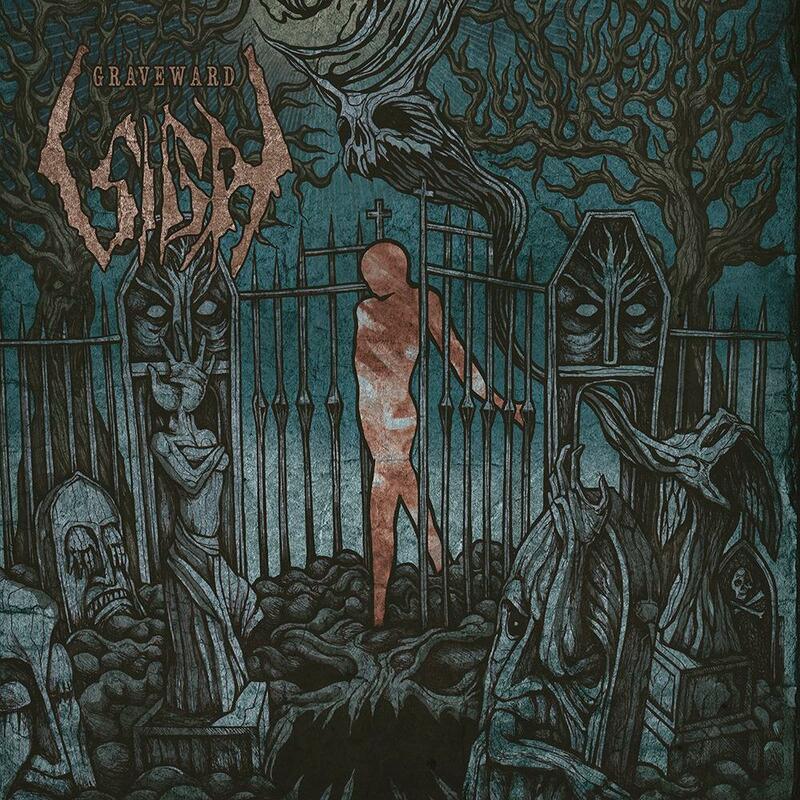 "Graveward" is the 10th full-length studio album by Japanese extreme metal act Sigh. The album was released through Candlelight Records in April 2015. It´s the successor to "In Somniphobia" from 2012. 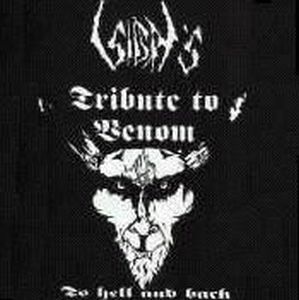 Formed in 1990 Sigh is widely considered one of the leading extreme metal acts from Japan. They´ve gone through several musical phases, and have experimentet a lot with their sound, but has always maintained a basis of blackened thrash/speed/heavy metal. That´s also the case on "Graveward", which reeks old school heavy metal, thrash- and speed metal, but combines those vintage musical elements with an avant garde approach. Again that´s what we´ve come to expect from Sigh, and in that respect "Graveward" is just another day at the office for Sigh. But when that is said Sigh as usual twists their core style, and makes sure that their listeners leave the listening session with an expression of surprise on their faces. 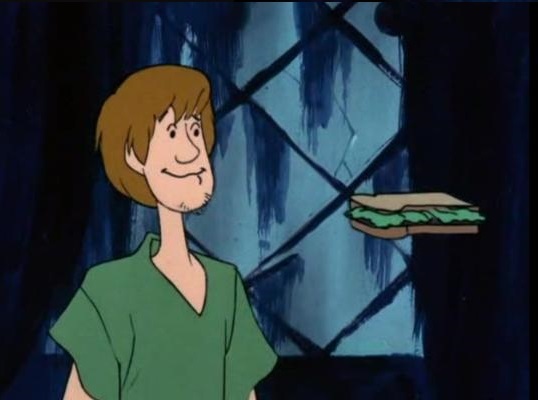 "What the Hell just happened There"? Keyboards/synths/organ played in symphonic style, hard rock style, and eerie horror effect style, raspy aggressive vocals complimented by higher pitched power/traditional heavy metal vocals, and occasional use of operatic female vocals, handclaps, programming/samples, saxophone, neoclassical leanings/themes, melodic guitar solos, and some lounge jazz sections, just to mention some of the features which compliment the more traditional heavy/speed/thrash metal basis of the band´s sound. It´s often arranged in a multi-layered style, which keeps the listener on his/her toes. The core of the band´s sound isn´t that complex, but the clever and quite challenging arrangements are intricate to say the least. 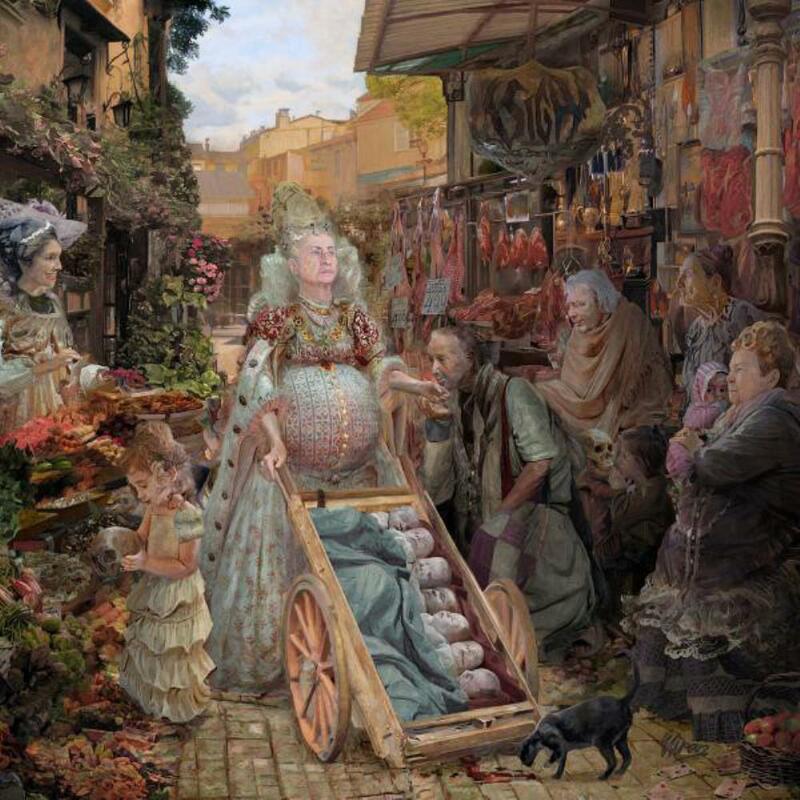 The surprising combination of elements and styles sometimes leaves the listener in bewilderment. For example on "The Tombfiller", which sounds a bit like Yngwie Malmsteen meets Venom put through an avant garde grinder, or "The Casketburner" which is also a highly eclectic track. The musicianship is on a high level. It´s all very organic, and even when the drums play something almost painfully simple and the guitar riffs play a rather generic speed/heavy metal riff, you always have the feeling, that these guys are consciously holding back and just having fun. They are completely in control of the stylistic elements required for the various sections of their music. "Graveward" is a well produced album with a pretty raw and organic sound on the bass, guitars, and drums, while all things on top of the basic instruments aren´t as old school produced. Upon conclusion "Graveward" is yet another high quality release by Sigh. It´s an album you can listen to multible times, and still find new details, but it´s still hard rocking enough to not become too intellectual for it´s own good. 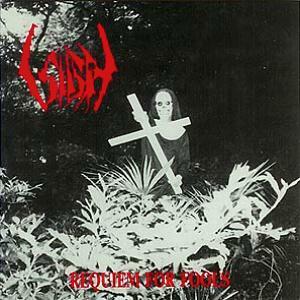 Sigh as always strike a good balance between old school heavy/speed/thrash metal and avant garde. A 4 star (80%) rating is deserved. 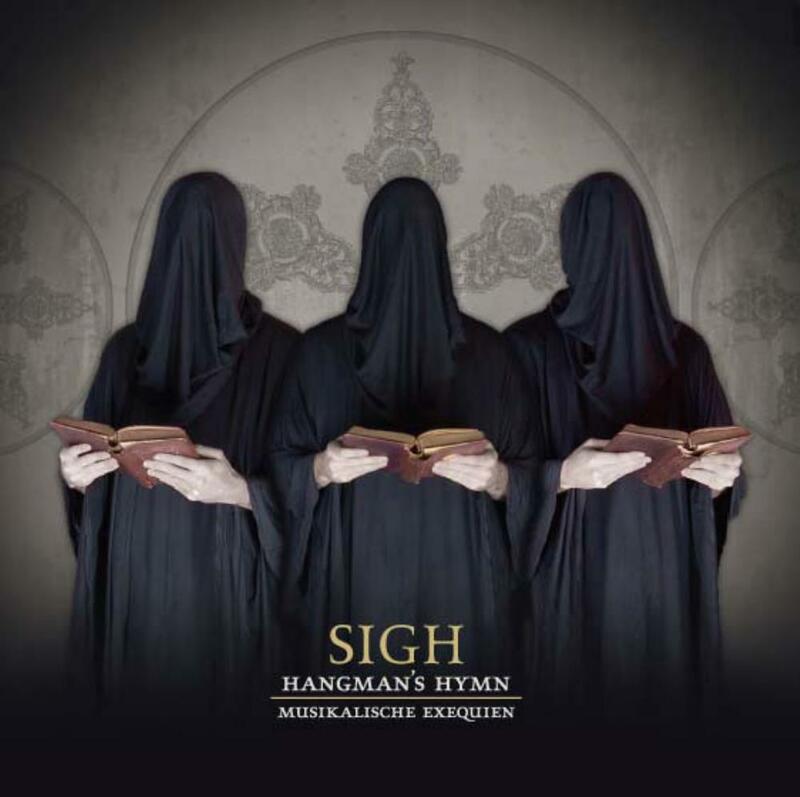 After a couple avant-garde releases that were still just barely clinging on to an association with black metal, the strange musical entity known as SIGH retreats back to a predominant black metal sound on HANGMAN'S HYMN: MUSIKALISCHE EXEQUIEN with a brash bravado and hyperactive dynamic delivery unlike many of their releases and has an energy level more akin to a thrash or death metal band. The music is an interesting mix of speedy black metal with raspy vocals (and rare clean ones) mixed with a symphonic pompousness that at times seem like they are competing with one another. The general pattern is a black metal dominant sound which in a patterned manner takes back seat to symphonic elements which are based of Mozart's "Requiem in D-minor," continuing this Japanese band's obsession with all things Western music. The album is divided into three acts which is basically a black metal opera of sort. In composure it brings to mind Carach Angren's "Where The Corpses Sink Forever" but sounds a bit like Crade Of Filth with the aggressive metal mixed with sophisticated symphonics. When it comes to the choir parts of this album SIGH didn't fool around. They solicited volunteers to sing in Latin and send in audio files and the result is a rich and bloated full sound that belies the fact that this is really just a quartet on full time duty. This is in short, a very well done album that delivers both black metal and symphonic balance where every tracks runs together in harmony and I find the album really goes by too fast. 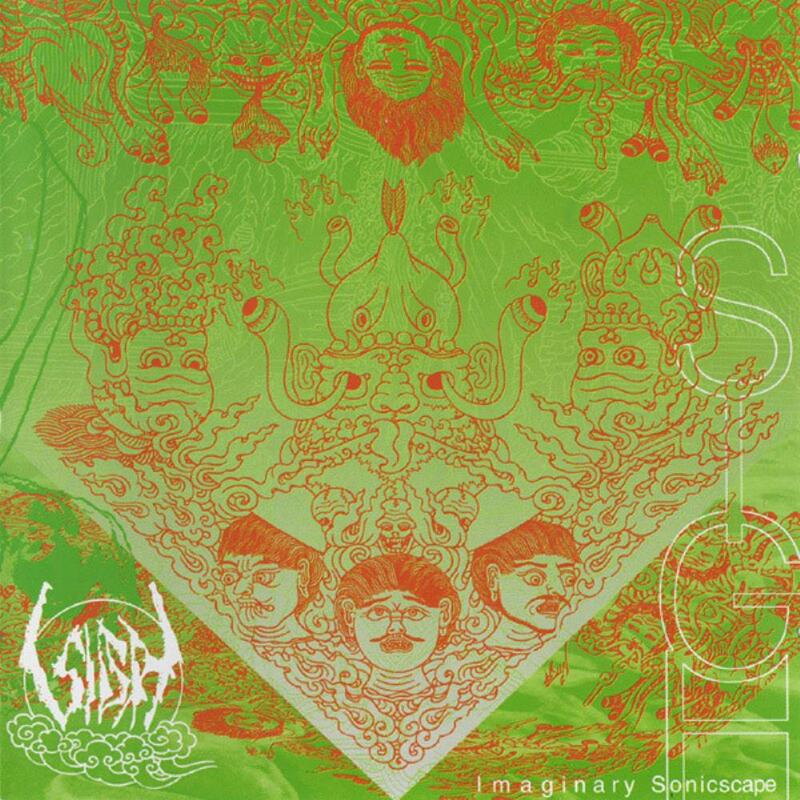 Although it seems like "Imaginary Sonicscape" is the one stop and move on album in SIGH's discography, I would like to emphasize how good their other albums are. This one is certainly more metal oriented than that album but for anyone interested in a black metal sound that is embellished with brilliant additional elements then SIGH simply must be checked out beyond a token single album. For those with a fetish for symphonic metal of any type this one will certainly entertain your inner Mozart meets Darkthrone fantasies.